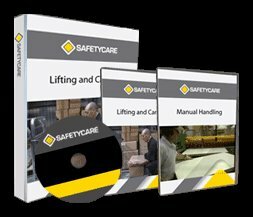 We have a great little DVD on Hazardous Substances in the workplace. All workplaces, not just heavy industrial type work environments use Hazardous Subtances to some extent or other. There are literally thousands of different substances used in the workplace. Cleaners, adhesives, paints, solvents, pesticides, inks, lubricants and fuels are just some examples. TO BUY THIS DVD FOR YOUR WORKPLACE CLICK HERE!